My career as a theatre critic started in university when I chanced upon Kent Ridge Common, an online student-run publication, which offered ample opportunities to review shows. Two years later, I signed up for a module on theatre criticism offered by the theatre studies department at the National University of Singapore (NUS). Being equipped with certain theoretical frameworks, challenged to write reviews for different media, and having to read them aloud to approximately thirty people really forced me to consider my voice as a critic, who my reader was, and what my functions are. The course led me to convert this website to solely focus on the arts and to sign up as a citizen reviewer for Centre 42 from 2014 till today. In the past five years, I have gained more confidence and am increasingly aware of my artistic tastes and the sort of critic that I want to be. Having practised this craft for half a decade, it is time to take it further—it is time to be a professional independent theatre critic. The fundamental change would be to strive to turn this craft into a source of revenue amongst other artistic pursuits. Your support will enable me to broaden my coverage to include more long-form interviews and profiles, dance reviews, and even book reviews. My reviews will always be public and free for all to read. Your support will determine the breadth and depth of my coverage, and supporters will receive bonus content. Editorially, I will be stricter on developing a house style. I will take my cue from Mr Hart by referring to New Hart’s Rules. I will depart from a few of his recommendations purely out of personal preference. In terms of work flow, I will try to publish my review within a week of watching the show. I have no intention of being the first, for there are many others who are adept at that. Rather, I shall follow the footsteps of Mr Kenneth Tynan and “write for posterity” as much as it is meant for the present. Arts criticism is part of the arts ecology. Artists aim to inspire, provoke, comfort, or entertain their audience. Criticism is thus an articulated response to the work. It is the opening salvo; the first hand in the air. Hence, my reviews seek to be a platform from which theatre-goers can respond to and articulate their opinions. After all, in an incredibly realistic country such as Singapore, for someone to invest time and money into something counts a lot. I also seek to document these debates as one indicator of what the people want. Regardless of who you are, there are several ways that you can support me. All the details can be found on this page. Apart from doing this as a regular gig, the ultimate goal is to be able to commission other writers on a regular basis and pay them at market rates. While much have been said about the need for arts criticism, proper opportunities are very few and far between. But beyond financial or in-kind support, an equally important contribution is to really respond to my reviews. Tell me your opinions about the show. Even if it is a response to a particular point I made, it is very helpful for all involved. I look forward to having you on this new journey with me. 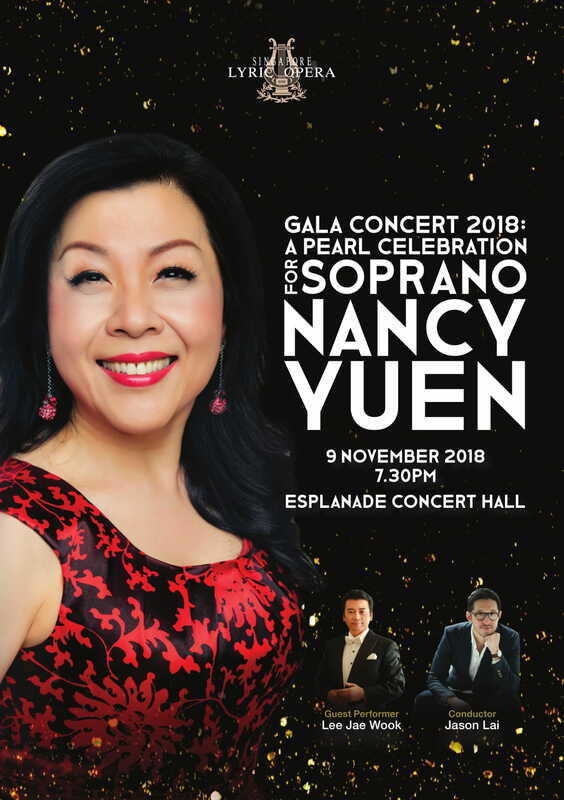 In the lead-up to the Singapore Lyric Opera’s (SLO) Gala Concert which celebrates Nancy Yuen’s operatic career, I spoke to the soprano about her career and plans for SLO as artistic director. that made you decide to become a professional opera singer? I have always enjoyed singing on stage since the age of 7. As for opera performance, my first encounter was when I was around 20 years old—I was invited to sing one of the principal roles in a short opera called Le Cinesi by Gluck to orchestral accompaniment, which I thoroughly enjoyed. Since then, I decided to pursue my interest in the most serious form by enrolling as a student at the Royal Academy of Music. when you first started out? YouTube and the internet did not exist when I first started. 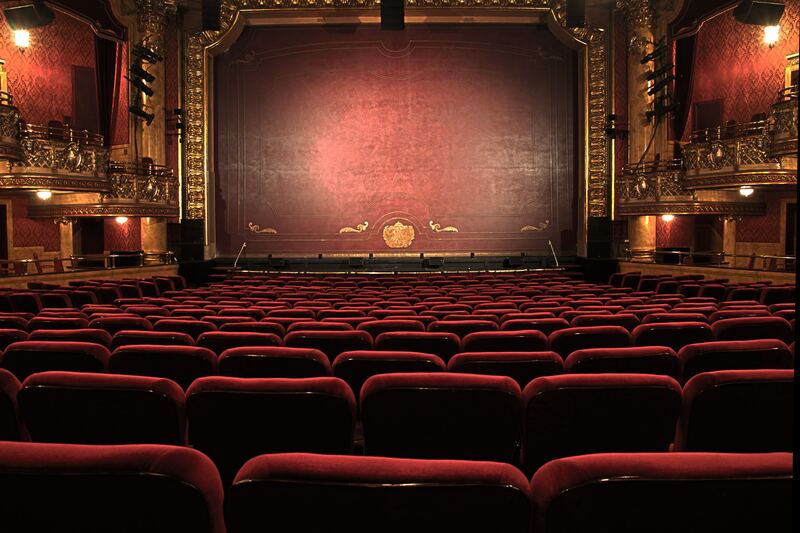 We were all trained to attend as many performances as possible to watch the top artists at work, observe the intricacies of stage craft, and absorb the whole ambiance inside the theatre during the performance. Nowadays, a lot of singers watch opera performances on the internet and listen to the electronic sound coming out of the computers and mobile phones. They end up paying more attention to the facial expressions of the singers rather than the artistry. Unfortunately, as technology progresses, development of live performing arts somehow suffers as people have a difference preference to watching theatrical performances. My debut performance which marked my transition from a student to being the prima donna in Madama Butterfly in 1988 with the Welsh National Opera. That was my biggest breakthrough. Second, the standing ovation at the 4500-seater Royal Albert Hall in 2000, also as Madama Butterfly. Another highlight was singing my first Wagnerian role as Senta in Der Fliegende Holländer in Singapore in 2016, which was tremendously thrilling. Opera is the most complete art form of theatrical experience, with music, drama, sets, costumes, and lighting. They all come together to bring the audience into intricate worlds created by the composers and librettists with the help of directors, conductors, and singers. We all need a little escape to the imaginary world from time to time. What’s more rewarding than to live through the experience of someone else on stage, shown through music and drama, and sharing their passion while watching the tragedies or comedies unfold? highlights that the audience should look out for? All the music chosen in the concert are from operas I have performed over the years. Many of them are iconic pieces that have been performed many times all over the world. They include highlights from Madama Butterfly, La Traviata, Carmen and La Boheme. The audience are guaranteed for a real treat as they will know most of the tunes and stories. Any big plans for SLO in the coming years? SLO will continue the work to promote operas, mounting large-scale opera productions, and doing more and more outreach programmes. Our SLO Leow Siak Fah Artists’ Training Programme is going from strength to strength. We currently have nine participants working regularly to bring opera to the public, and helping more people appreciate the art of opera.